The family of a Brighton hospital patient who died after drinking cleaning fluid has started a crowdfunding appeal to pay for legal representation at her inquest. 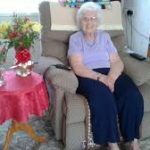 Joan Blaber, 85, from Lewes, died at the Royal Sussex County Hospital, in Brighton, in September last year. Her family, Gary and Sandra Blaber and Rosemary Bird, are trying to raise enough money to pay for a barrister to represent them at the inquest into her death which is due to take place in September. The hospital has accepted liability and will instruct a barrister itself but will not fund someone to represent Mrs Blaber and her family. The family’s concern is that the inquest – and the legal rules governing the process of holding an inquest – can be “very daunting and upsetting”. They said: “We need help from a barrister to be a voice for the family to give us the best chance to ensure that all the issues are explored properly at the forthcoming inquest. On their crowdfunding page they said: “Who are we? We are the family of Joan Blaber. Joan was our dear 85-year-old mum and sister who died in the Royal Sussex County Hospital, Brighton, on 23 September 2017. “In August 2017 Joan had been admitted to hospital having suffered a mild stroke. She was recovering well and was waiting to be discharged. “On 17 September 2017 we received a call from the hospital informing us that somehow Joan had been given cleaning fluid to drink to take her medication with, poured from a jug that had been placed on her bedside table. “Six days later tragically Joan died. “The coroner investigating the circumstances of Joan’s death has decided to hold an inquest with a jury because she has said it appears that the hospital has failed to put in place a safe system for dealing with dangerous and potentially life-threatening hazardous substances. “There may also have been other failings in Joan’s hospital care before this. “Nine months on from Joan’s death and we still don’t know how or why Joan came to be given cleaning fluid to take her medication. 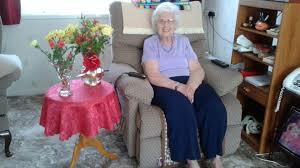 “She didn’t have dementia (as it has widely been assumed in earlier press reports). “The Care Quality Commission visited the hospital a month after Joan’s death and published a damning report in May 2018 which concluded that there were serious failings on the part of the hospital in the safe use and storage of hazardous substances. “Staff had not been properly trained. “At a pre-inquest review hearing in April 2018 the coroner sought assurances from the hospital’s legal team as to what measures and safeguards had been put in place to try to ensure that this type of tragic mistake could not happen again. “The hospital’s legal team told the coroner that the cleaning fluid had been removed from use in the hospital trust (as they said it only gave a cosmetic appearance of cleanliness anyway). “It was discovered at a subsequent hearing before the coroner in June 2018 that the hospital had in fact started re-using the same cleaning fluid again in March 2018 – despite the assurances they had given to the court in April 2018 and they did not tell any of the relevant authorities or the coroner that they had re-introduced this. “Although the hospital’s lawyers have admitted full responsibility for causing Joan’s death, they have refused to pay for the family to be legally represented at the inquest due to start in September 2018. 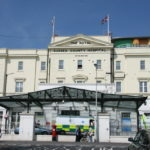 “The hospital trust will be legally represented by a barrister, effectively paid from your taxes. “We already find the inquest and legal process very daunting and upsetting and we need help from a barrister to be a voice for the family to give us the best chance to ensure that all the issues are explored properly at the forthcoming Inquest. “We ask that you help us to achieve our goal, to obtain justice for Joan and, more importantly, to try and ensure that another family never has to suffer this type of tragedy again. “How much are we raising and why? The inquest is expected to last up to two weeks and legal fees are currently anticipated to be in the region of £25,000. Surely if the Hospital have accepted liability a Barrister should be able to take it on knowing they will get paid on conclusion.